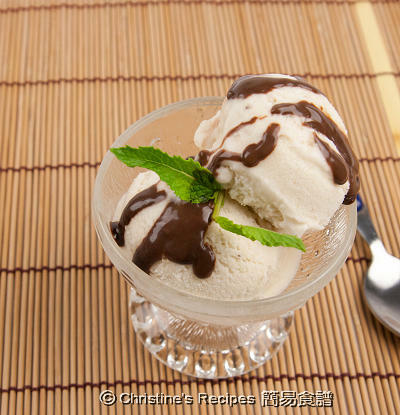 Belated 冬至快樂! Also, a Merry X'mas & Happy 2010!!! 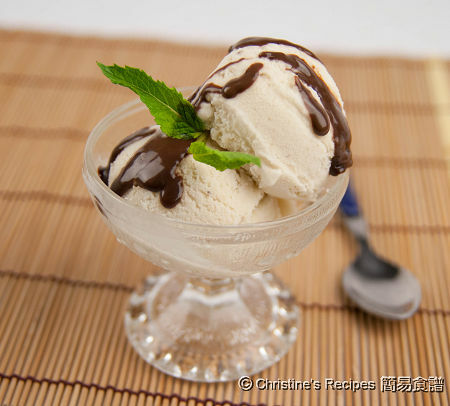 If you don't have an ice-cream maker, you can chill the mixture in the freezer for about 45 minutes. Then check it out. If the edges are freezed, the middle isn't set yet, remove from the freezer and stir it vigorously with a whisk or an electric mixer, really try to break up any frozen sections. Return to freezer. And repeat this process for at least three times. Then let it be frozen. 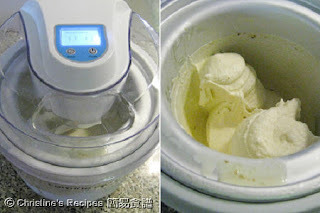 What is the brand of the ice cream maker?